Bottom Line: discounts from the original MSRP have made these an absurdly good value. Solid power and excellent range for a budget two-way bookshelf speaker. Fairly large and heavy, and not the greatest looking. Outstanding warranty coverage. BIC America, though lesser known for its audio products, has snuck into the spotlight in recent years by producing some truly excellent home theater speakers at unbeaten value, and with recent MSRP discounts, the DV62si is now another one of these speakers. The power and efficiency specs are solid – these will get loud enough in all but very large rooms. The range specs are excellent and not easy to achieve in a two-way bookshelf speaker that’s as cheap as this is. A speaker that can dip to 43 Hz with less than a 3 dB drop off could very well sound great on its own, without a subwoofer. That said, pairing a subwoofer could certainly be worthwhile, and in fact BIC America makes one of our favorite budget subwoofers: the F12 (reviewed here). The tweeter is a 1 inch polymer soft dome, with a slightly better than average range but otherwise looks pretty standard issue for a budget bookshelf speaker. The woofer is more interesting: it’s a shiny graphite polymer blend, something which can be very stiff and light. The drawback of such a choice is that, if cheaply made, it’s more likely to get damaged or wear out in the short term. But, enter the seven year warranty, which is outstanding coverage for a budget bookshelf speaker. The only better one we’ve seen is Fluance’s lifetime warranty, and you’re lucky to get five years with most other competitors. The BIC speaker doesn’t look the greatest, we’ll concede there. Pretty standard mock-wood MDF and a rather plain baffle with contoured edges. It has slots for included foam grills if you wish to cover them. These speakers are pretty big and heavy too – you’ll need a decent amount of support and surface area, with additional room in the back for the port to breathe. They might be large and cumbersome on a desktop. 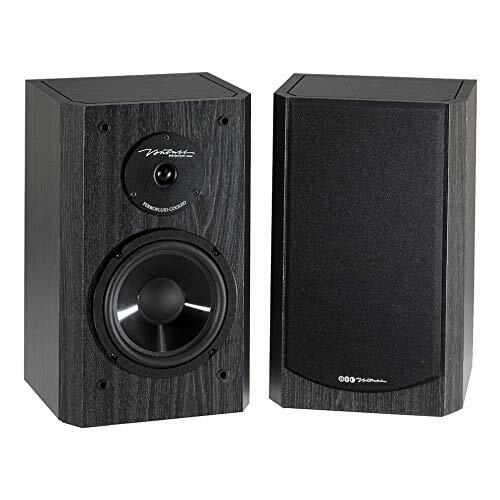 At their original MSRP, these speakers really didn’t bring anything special to the table, but we’ve since seem them heavily discounted, like well over 50%. Prices can be fickle and arbitrary in the audio world, but for whatever reason the DV62si is now an absurdly good value. 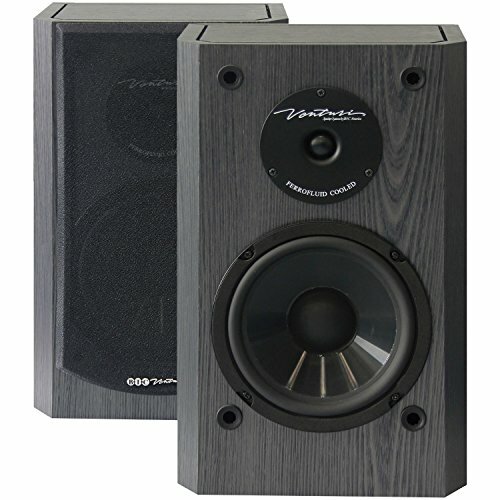 If the price remains, these speakers will almost certainly earn a spot in our top overall budget speakers list. Link to that is below by the way.